The Trentadue family arrived in Sonoma County long before the region gained a reputation as the Wine Country. Life-long, hands-on agriculturists, Evelyn and Leo Trentadue contributed significantly to the advancement of their region over the years. In 1959, the Trentadues decided to flee the developers encroaching on their apricot and cherry orchards in Sunnyvale, the area known today around the world as Silicon Valley. There is something special—extraordinary, in fact—about making wine from estate vineyards. It means we painstakingly watch over our own vines, through wind and frost and scorching sun. USA Wine Imports is a national importer of wine and spirits, with offices in New York City. USA Wine’s wholesale customers provide distribution in all major wine markets in the United States. USA wine also acts as a wine and spirits wholesaler in New York State, servicing all licensed restaurants and retail stores in New York. Experienced team built around understanding, collaboration, implementation and execution. If you found us you may already know that Va Piano crafts some of the finest reds in the Walla Walla region. A lot of hard work goes into making these wines – mostly Cabernet Sauvignon and Syrah – but we have a lot of fun at it too. 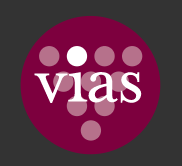 Vintage Point offers services to wineries in sales, marketing, importation and general management. 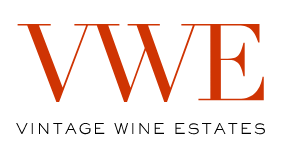 Vintage Point is independently owned and exclusively focuses on winery brand and market development within the US, Canada and Caribbean marketplace in the ultra-premium and luxury price points. Our mission is to help these producers overcome the barriers they face in getting their wines to market. Watermill Winery would like to welcome you to the southern reaches of the exquisite Walla Walla Valley, which is the home of world-class vineyards and wineries. Zero One Vintners was founded in 2006 by Thomas and Kristin Vogele. The result of the experience and passion they bring to their boutique Washington wine business are high quality wines at a great value created in a distinctly unique and elegant style.